KARE 11 reporter Lindsey Seavert and photojournalist Ben Garvin spent a year following the teachers, students, and families at one of the state's worst-performing schools. 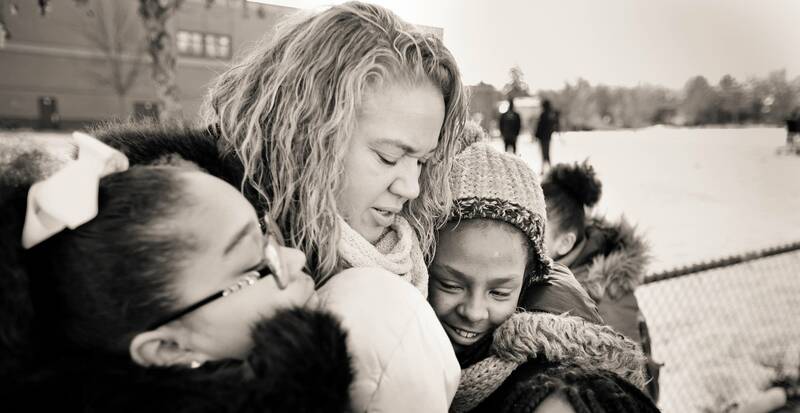 Their new documentary, "Love them First: Lessons from Lucy Laney Elementary School," tells a story of hope at the north Minneapolis school, where more than 80 percent of students live near or below the poverty line. "Love Them First" premieres this weekend at the Minneapolis St. Paul International Film Festival. It focuses on Principal Mauri Melander Friestleben and several of her students. Friestleben, along with Seavert and Garvin, joined Angela Davis in the studio to talk about the film — and what Lucy Laney can teach us about education. Angela Davis is the host of MPR News with Angela Davis. Julie Siple is a producer and reporter for MPR News.